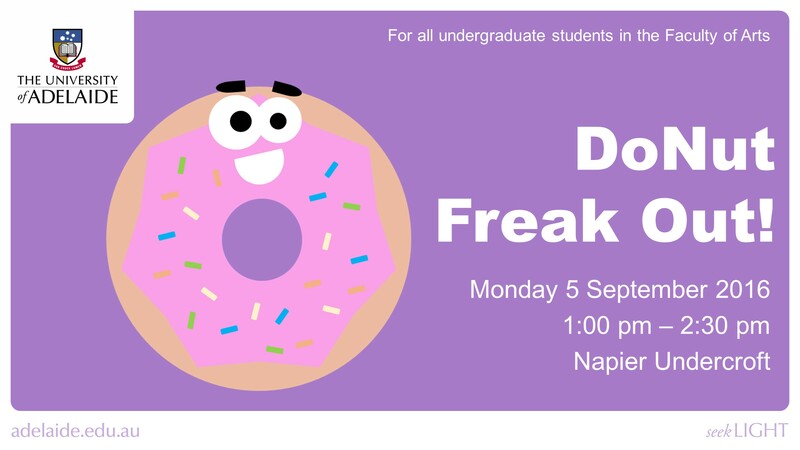 Mon 5 Sept: DoNut Freak Out! This entry was posted in Events, News and tagged Anthropology & Development Studies, Art History, Asian Studies, Classics Archaeology & Ancient History, English & Creative Writing, Environment & Population, French Studies, Gender Studies & Social Analysis, Geography, Environment & Population, German Studies, History, Linguistics, Media, Philosophy, Politics & International Studies, Spanish Studies, Study Skills Support. Bookmark the permalink.